Join us for an evening of FREE, LIVE music at Soldier Creek Winery on Friday, April 26th from 6-8PM featuring Dang Felton! Dang Felton is a Des Moines, IA based songwriter and musician whose unique style involves complex finger-style guitar work, evocative lyrics, and a soulful voice. 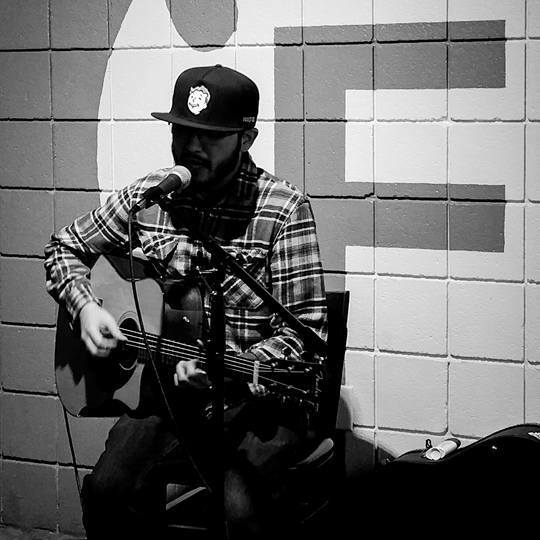 As rare a talent as you’ll find he entertains everywhere from music venues and breweries to citywide events and private parties. ​The Des Moines Arts Festival, Waukee Arts Festival, Celebrasian Asian Heritage festival, Maximum Ames Music Festival, Back Forty Festival, Summercamp Music Festival, KCWI, KHOI, KFMG, IPR’s Studio One, and appearances in both of Des Moines’ premier local magazines CityView and Juice are just some of the events he has been grateful to be a part of.